MLB interleague play will be in full swing this week with some interesting series matchups taking place between the AL and NL East and the AL Central vs the NL Central. The top priced MLB series of the week is matchup between the New York Yankees and the Miami Marlins in a four game series starting on Monday at Marlins Park and concluding on June 18 at Yankee Stadium. Each series featured this week will include four game series with a split of games taking place at each of the team’s home stadium. Here a breakdown of the top five MLB series of the week on the secondary market, according to TicketIQ. The Miami Marlins kick off a four game series with the New York Yankees beginning at Marlins Park on Monday and ending at Yankee Stadium on Thursday. The overall average for this series is currently $93.25, making it the top priced MLB Series on the secondary market this week. The two games at Marlins Park will be considerably cheaper and on average $84.79. 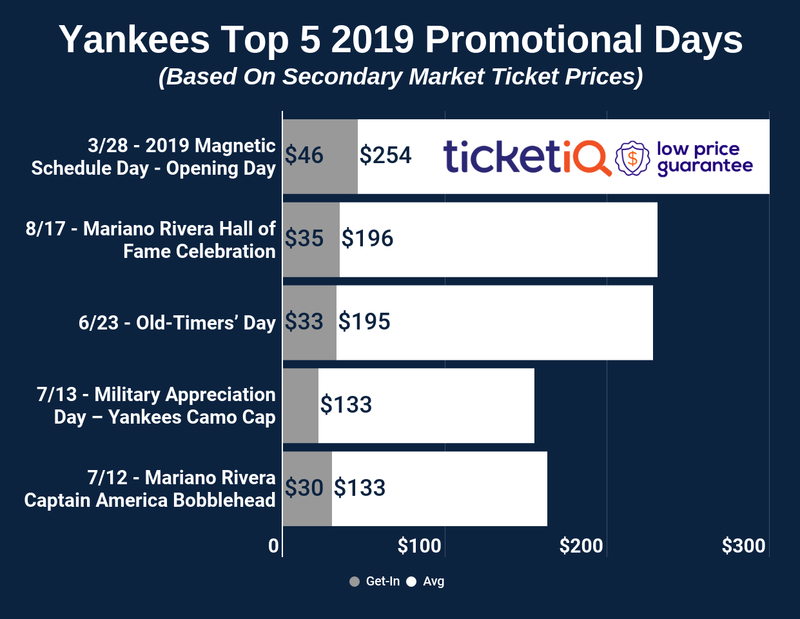 Yankees vs Marlins tickets for the two games at Yankee Stadium have an average price of $124.84 on the secondary market. Another NL East vs AL East matchup begins on Monday for a four game series that will begin at Fenway Park and end on June 18 at Turner Field. Both teams are currently under .500 and their overall average ticket price the four games is $76.86. Braves vs Red Sox tickets for the two games at Turner Field will be much higher in average price, as Braves tickets jump when big market teams come into town. Red Sox tickets for the two games at Fenway Park will be at a much more affordable average price of $52.51 on the secondary market. The New York Mets kick off a four game series with the Toronto Blue Jays on Monday, beginning at Citi Field then concluding on the 18th at the Rogers Center. Tickets for the four games will have an overall average of $61.74 and Blue Jays tickets will be much more expensive for the two games at the Rogers Center at an average of $72.89 on the secondary market. Mets tickets against the Blue Jays for their two games at Citi Field are going for a secondary average price of $44. This four game series will begin on Monday at Busch Stadium and conclude this Thursday at Target Field. The Cardinals have played well over the past 10 games while the Twins have lost 7 of their last 10 coming into Monday’s Game. The overall average price of the four game is $59.91, with Twins tickets at Target Field more expensive at a secondary average price of $62.80. Cardinals tickets against the Twins at Busch Stadium have an average of $53.97. For the second of two featured AL Central vs NL Central series matchups featured this week, the Brewers begin this series at their home stadium at Miller Park. The series will then switch to Kauffman Stadium on Wednesday. The Brewers are struggling while the Royals currently lead the AL Central. Tickets will have an overall average price of just $39 with Brewers tickets at a much more affordable average price of $27 on the secondary market. Royals tickets average $44 for their two games at Kauffman Stadium against the Brewers.